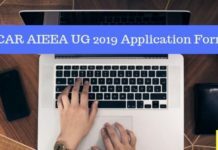 AICE SRF PGS Application Form 2018 was available in online mode only. Aspirants should ensure that they fulfill the eligibility conditions before applying online. The applicants need to provide valid details in the online application form. The application process is over now. Candidates can check all the details about the AICE SRF PGS Application Form 2018 in the article below. Apply Online: Click Here for Applicant Login. 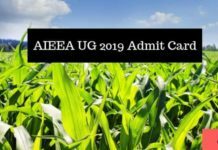 Note: All candidates are informed “No Need to send hard Copies of Application to ICAR Office”. The application fees for AICE SRF PGS 2018 can be paid by Online mode via Credit card/ Debit Card/ Net BAnking. The application fee for different categories is given in the table below. Soft copy of the thumb impression (his left/ her right hand) and signature. Click on the link that will be provided on this page to apply online for AICE SRF PGS 2018. Applicants need to provide their Personal Details, Academic Qualification Details, Communication Details and other details in the online application form. Upload scanned copy of the photograph, signature and thumb impression (his left/ her right) after filling in details. Proceed to make payment for the application fee via online mode. On completion of the above-mentioned steps, applicants will be required to send the hard copy of online application and proof of fee payment in a suitably sized envelope to the COE (Agril. Edn.) by post. Post-office receipt as a proof of postal dispatch of application. 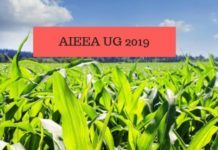 AIEEA UG 2019 Application Form (Released): Dates, Fee, Apply Here! thank you. iam intrested in this programme. thanks for your acceptance.